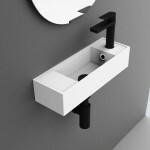 Categories: Bathroom, Bathroom Accessories, Bathroom Tapware, Bathroom Tiles, Baths, and Vanities & Basins. 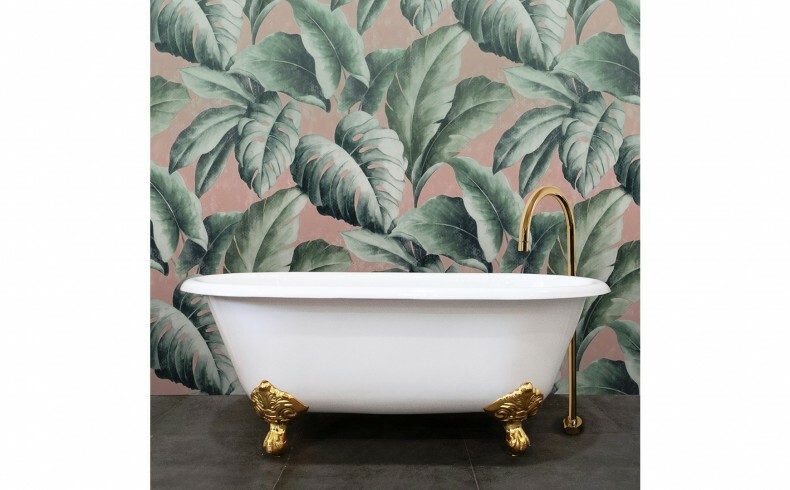 From colourful curations to metallics and terrazzo, 2019 will see old favourites in bathroom design emerge again, according to Highgrove Bathrooms. As timeless trends takeover home renovations and bathroom design, we’ll see the return of brushed brass, pastels, terrazzo, distinctive wallpaper, and the modern melding of concrete and timber. Mesmerising Metallics. 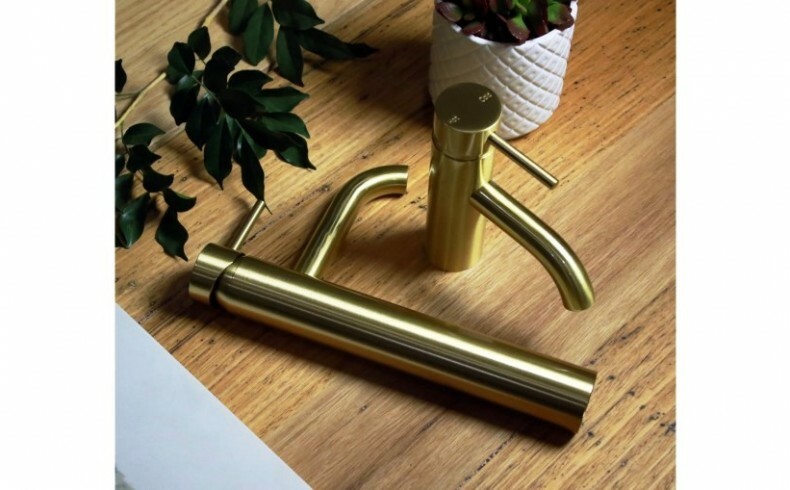 The return of brushed brass and copper finishes is showing no signs of slowing down, and it comes as no surprise that these metallics have now become more popular than traditional polished chrome. 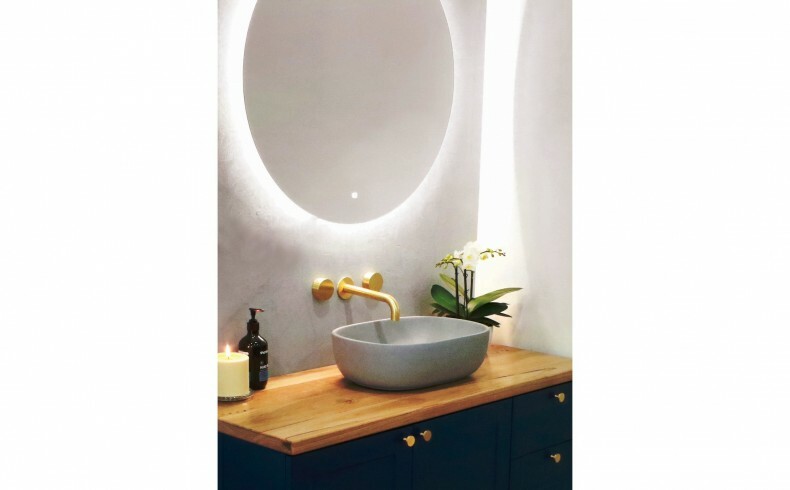 Compatible with most colour schemes, brushed brass and copper finishes embody modern elegance that withstand the test of time, giving your bathroom renovation a classic but luxurious look. In comparison to the sleek, silver finishes seen in designs of the last decade, the burnished tones and earthy, industrial sheen of these trending metallics bring much-needed warmth to what can too often be a cold space. All the Colours of a Pastel Rainbow. 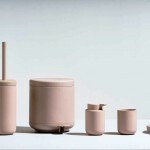 Colourful curations in design will be all the rage in 2019, but specifically that of calming pastel hues. Diversifying colour palettes to break up the neutral tones and incorporating a mix of pastel bathroom accessories and fittings are a great way to add thoughtful pops of colour to a bathroom that is mostly stark white. 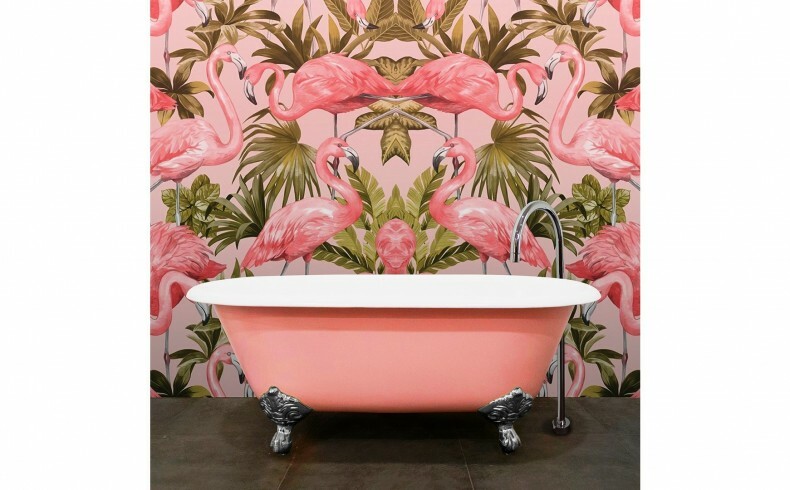 Pale greens, baby blues, lemon yellows, apricot oranges and especially millennial pink are trending hues that will continue to be crowd favourites this year in bathroom design. Allow your chosen palette to come to life in bathroom cabinetry; as well as bathroom accessories such as robe hooks or basins. The Return of Terrazzo. Incorporating mid-century elements in contemporary design is on the rise, and it’s safe to say there’s no better way of bringing the past back to the present than with terrazzo surfaces and patterns. 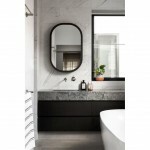 Comprising chips of marble, quartz, granite and glass, this playful and opulent tiling will be seen more on floors, walls and even bathroom vanity tops. It’s a trend from the past coming back with a modern twist. So if mid-century style is up your alley, terrazzo should be considered when refreshing your bathroom design. A Material Crush. 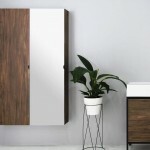 Timber has definitely become a favourite when it comes to natural elements used in bathroom design; and while concrete finishes dominated the 2018 trends, have you ever considered combining the two? With concrete and timber leaving the construction zone to step into home design as an increasingly popular combination, mixing these materials creates a new age feel with a nostalgic foundation. 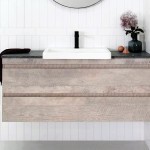 Raw and industrial concrete set against warm timber offers a strikingly contemporary look for bathroom renovations. Doses of Bold Wallpaper. Wallpaper will be making a comeback in 2019: namely bold patterns; colours; and even textured wallpaper. 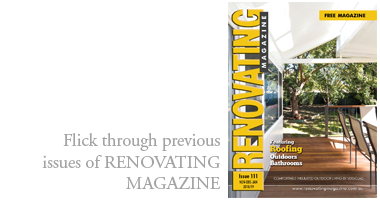 It’s a cost-effective and hassle-free way to breathe new life into an outdated bathroom. Bring the splashback to your bathroom in the form of wallpaper instead of tiling to refresh the area around your bathroom vanity. But if you’re looking to incorporate more change within your bathroom renovation, and making an even bolder statement, consider a feature wall or lining the top third of your bathroom with remarkable wallpaper. Whilst having a more delicate substance like wallpaper in your bathroom may seem a little risky, with the right splash proof material you can have the look you want without the hassle of relining every six months.